The paths less travelled in Taranaki. The walks in South Taranaki are as variable as the landscape. However, they all have one thing in common: on a clear day, Mt Taranaki can bee seen from them all. The central iconic mountain acts as your guide, whether your navigating the perimeter of Lake Rotorangi, or on top of some coastal cliffs in Opunake. We’ll go through some awesome walks in South Taranaki in the list below. South Taranaki is a district that encompasses everything below Okato and Eltham, reaching all the way to Waverly. It also incorporates a important locations in Maori history, where many of the Land Wars occurred in Taranaki. This is evident from the numerous pa site remnants (fortified areas), many of which you encounter on South Taranaki’s walkways. 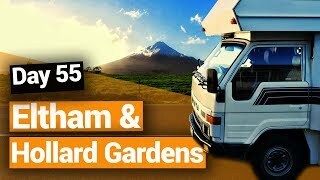 As well as this, you have a chance to see the lush grassy countryside used for dairy farming, coastal cliffs formed by ancient volcanic activity, lakes, and calming rivers and streams. The dam that made Lake Rotorangi. 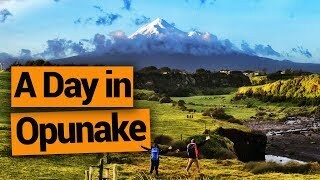 Taking in the beautiful Opunake Lake, coastal cliffs, Mt Taranaki, Te Namu Pa and beaches, the Opunake Walkway is the longest formal walkway in South Taranaki. There are many places to access the walk, but if you are doing the whole 3-4 hours, start from the boat ramp at Opunake Lake on Layard Street. On the lakeside walkway, you’ll see a couple of cemeteries, one of which, Ormupiko Cemetery, is on an old pa site. Continue to the coast where you emerge at the Waiaua River Mouth, which offers top-notch views of the dynamic Taranaki coastline. The walk is coastal from here on out, to which you’ll walk across Opunake Beach. It attracts heaps of surfers so watch them in their element, or why not join in yourself? The next point of interest is the Lion’s Lookout, located next to the ramp on the old wharf. You’ll get some excellent views of the Taranaki Bight before heading to Middleton Bay. Be aware that this is not a good swimming beach. The northern point of the Opunake Walkway is at the Te Namu Pa. This is the site for a famous Maori battle where the Wiremu Kingi Matakatea withstood a month-long siege armed with just one rifle. You can access the site from the Opunake Cemetery and over the Otahi Stream. This short walk has a bit of everything and some great photo opportunities. Expect views of Mt Taranaki and the Pouakai Range, while following the picturesque Kaihihi Stream and Stony River. Starting from the Okato Domain swingbridge, follow the Kaihihi Stream and through the William Corbett Scenic Reserve. There’s forest, trout pools and swimming holes along the route. Return along the Stony River, with its small rapids created by stones – what a shocker! This predator-free sanctuary has a walking track around the perimeter of Lake Rotokare. Look out for native birds, such as bellbirds, tui, kereru, grey warbler, fernbird and spotless crake. You can use the seats dotted around the track for bird spotting or to simply be lazy – we won’t judge. The wildlife is protected by a predator-proof fence with a double-gate system to gain access to the reserve. Start the walk from Sangster Road car park, which is off Rawhitiroa Road just north of Eltham. The track follows the southern shore of the lake before entering the undisturbed forest. The lake itself is fed by natural springs, to which the locals use the lake for kayaking, boating and water-skiing. But sticking to the track, it’s an easy grade with boardwalks in places, however appropriate footwear might be needed after rainfall, as it can get pretty muddy. Once you’ve bossed the track, you emerge on Sangster Road a few hundred metres away from the starting point. With steep cliffs on one side and the sea on the other, this coastal walk is like no other in Taranaki. It can only be done during 2h30mins before and after low tide, so be sure to check the tide timetable. Otherwise, getting wet will be the least of your problems. You can start at either end of the track: Ohawe Beach or Waihi Beach. Ohawe Beach is accessed by taking Ohawe Road off Surf Highway 45, 5km west of Hawera. On the other side, you can take Denby Road from Hawera to access Waihi Beach. In this instance, we’ll start from Ohawe Beach. Here, the Waingongoro River mouth was where some of the first Maori settled in Taranaki. In fact, the remains of moa bone have been discovered in cooking ovens around the edge of what is now a camping ground. Walking along the beach, it’s hard not to notice the huge cliffs that have been uprooted from the sea over millions of years. There are also coastal reefs to explore rock pools for sea life at low tide. Another point of interest is the remains of a tram rail at the base of the cliffs near Hauroto Road. Finally, you reach Waihi Beach where you’ll most likely need to arrange transport to get back to the start. Stroll along the side New Zealand’s longest manmade lake at 46km, which was created by the damming of the Patea River. The walkway is on Lake Rotorangi’s southern shores, crossing a dam and spillway to lush forest. Notably, black beech and tawhairauriki make up this forest, which is a must-see in October-November for its brilliant red flowers. You’ll also notice three Maori carvings at the dam site: Pou Tiaki, Rahui and a carved archway. To get to the Lake Rotorangi Walkway, take Ball Road just north of Patea on State Highway 3. Starting from the car park, the walk crosses the dam into the forest. If you travel in an anticlockwise direction, the track is situated above the shoreline leading to the peninsula. The track gradually climbs to a high point on the northern side of the peninsula, before descending back to the dam. 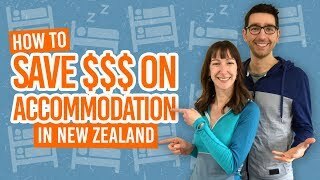 There’s no need to break your backpacker budget in Taranaki. 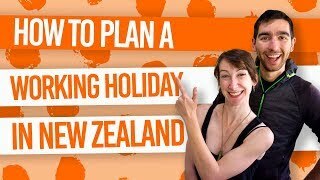 Here’s a bunch of articles to see you through your travels in Taranaki.